High quality photo collage printing on 300gsm lustre photo paper. Superior quality printing. Design your very own unique collage online instantly using our simple software. Select from a range of layouts or make your own. Why pick just one memory to decorate your home? Capture your baby’s first year, celebrate an anniversary or show a handful of memories from your family holiday. Have a colleague leaving the team at work? Why not surprise them with a collage of great memories from their time in the company. Or maybe your friend is heading off to university and you want to send them off with a collection of memories from their hometown to put up in their new bedroom. 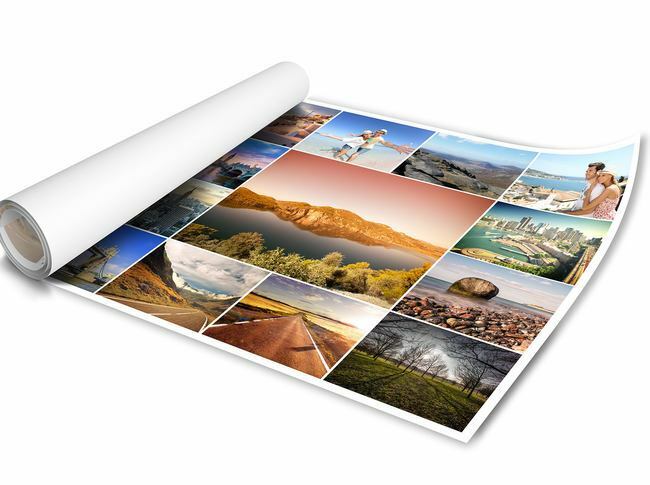 Printed on 300gsm lustre photo paper, your photos will look fantastic thanks to the superior printing quality and range of possible layouts to choose from. There are various opportunities to make this collage your own, from adding text to your poster to selecting one of the pre-designed themes, or adding a coloured border or background. There are countless ways to celebrate the bigger picture with a hand-picked selection of photos crafted into an impressive, professionally printed poster. We have a wide range of sizes available too, so your collage can be as big and bold as you need it to be. Designing the poster itself couldn’t be easier. Using our simple software, all you need to do is choose your images, make sure you’re happy with the placement, add any design features you want to include and complete your order to have your customised print created for you. Your personalised collage is the perfect way to preserve your family’s memories for years to come. As all my 3 collages came in the same cardboard tube delivery costs seem a little high. Product however is very good, no complaints. This was a poster of photos for my father’s funeral - the quality was great and the product arrived quickly. Easy to use site, good quality photographs and excellent delivery service. It can be difficult to get larger square photos printed so I am delighted. Good quality and have made a great wall gallery in my house. Order product as displayed.Delivery on time.Very well packed. Great product, not many online companies seem to offer the size i wanted. Fairly easy to upload photos & i did it from my phone as that was where my photos were. Can change layout & crop with the individual photos too. Great protected packaging & arrived exactly when it said it should, in time for a Christmas present. Ordered a collage print for my little girl with some happy memories. Arrived a couple of days later and looked absolutely amazing, thank you! Really happy with this poster and it was really easy to design, only issue was one of the photos bled into another when it was supposed to have a boarder, its not hugely noticeable but once you have seen it, it annoys you!! would be good for the software to pick up on this. Absolutely Brilliant! Fast delivery, quality of my posters Fantastic! Very impressed with this company. Got my order within 2 days, and was kept updated throughout. The quality of my posters were absolutely fantastic. This is the first time I have used this company and I shall certainly be using them again and recommend them to anyone! First class! After a very enjoyable holiday in Canada I wanted a collage of several prints. This one fitted the bill and reasonably priced too with a discount. Arrived quickly and well packaged. Very pleased with the end result. So pleased with my order. Everyone commented on how lovely it is. Much better than other firm's I've used. Ordered a collage poster for display at my husband's 60th birthday party. It is easy to put the collage together though I couldn't use all the photos I'd wanted as they weren't all up to the quality required. Excellent value. Arrived really quickly. This is my third order and I will definitely use Pixa again. Fast photo upload, Variety of collage templates & sizes. Easy to use system. High quality product, fast delivery. 10/10 Very happy with the result. Great product really happy, good quality, very helpful staff when phoned with a query. Only problem when doing a collage with multiple photos, it would have been helpful to have a sort of ruler guide to measure the photo size when scaling a photo up & down to know what size each photo will be on the collage when doing a free hand designed collage of multiple photos. Im sure that's prob sophisticated software. Tried to make a photo collage with another online print company and gave up. This one was soooo much easier and good value too. Arrived within 2 days of ordering as well so really pleased. Wanted a collage poster for my mum's 80th. The product was excellent. 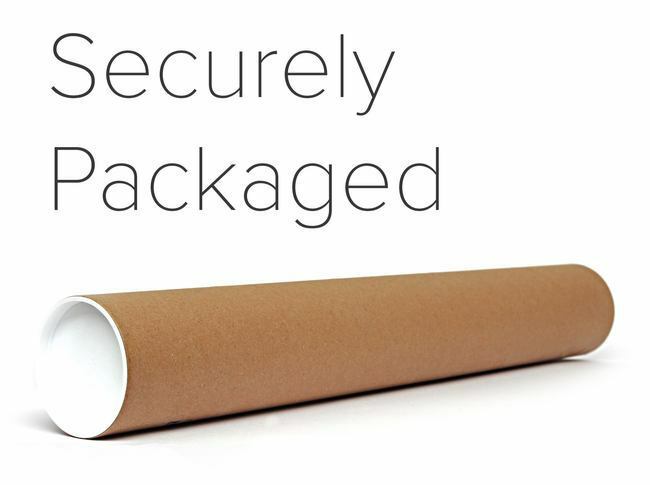 Quality paper and well packaged. Needed 24 hour delivery and even with postage the price was excellent. Be aware that when you place the photos it will tell you how good the resolution is and really you want it to be good or excellent for best results. Quality of resolution may change with the size too. Some of the older photos came up as poor resolution but after editing and improving them I was able to use most of them. Would certainly use this service again. Loved the collage print. Service was brilliant. Im so happy with the product will surely order again! Im so happy with the product, it's very lovely. Im happy with the product, looks lovely! Really happy with my first order. Quality is very good and delivery was super quick. Absolutely fantastic product. It arrived so quickly, the size is perfect and the quality of the photos is spot on. Thank you so much! Bought as a gift - the quality of the images is great and it is a good price for the size. I got one of the photos wrong and when I phoned hastily to see if I could correct it I was given excellent help and it was put right. Great service and product. Easy to use collage template, excellent communication with regard to delivery and would highly recommend to family and friends. Really happy with the quality of the collage print and It looks great in the photo frame. I love how easy to design my poster is and how To make edits. This year the turnaround was so quick I received my order just 2 days after placing it. The packaging is ideal (large brown tube) and the quality is perfect and it’s not very expensive either. Would highly recommend and will be back again next year for the same. I had brought several collage frame and because of the odd sizes I was finding it difficult to find photo prints that would fit my frame. I then came across Pixa Prints and the collage posters sizes fitted my frame so I was well pleased. I was able to plan which photos I wanted in the template and swop and change photos until I was happy. Ordering the posters could not be easier, I was kept up to date with the delivery status and it took two days from ordering to delivery. I was very impressed with the quality of the product and will recommend to family and friends. A Mix ‘n’ Match in service, I ordered the item twice as I made an amendment, I contacted Pixa and they were able to cancel the one I didn’t need at no cost. Excellent. However, their selection of courier/delivery can be much better. My order was dispatched on 3rd April, I needed it for a project on 10th April and it arrived on the 11th!! They use Royal Mail, If they’d used a company with a better reputation, one than can deliver an express service I would’ve been 100% satisfied! Albeit, they did explain that it can take up to 10 days, I ran the risk, my fault but something a bit faster than 10 days will certainly aid their production. Again, I was very satisfied with what they are in control of, it’s just their choice of delivery! Time factors are very important to new customers. Sorry for the negative feedback Pixa but well done on the Positive!! Fab photo collage. Just what I was after for a friend who is leaving work. A lovely thoughtful gift which went down well. My friend was delighted by this as a special birthday present! Ordered a few days before the christmas cut off dates, ordered completed and dispatched very quickly. Good quality, very pleased. I stumbled across your site when I was struggling to put together a collage print on another photo website, I was able to find and put together exactly what I wanted in a matter of minutes and the price was exceptional value too. My collage print arrived super quickly, and I was kept up to date with emails every step of the way. The print was packaged amazingly well and I was so chuffed with it as was my niece who it was a birthday pressie for. Overall, I will definitely be using pixa prints again, the service and quality are better than any I have used before!! I left it a bit late to create the collage my mum in law requested for Christmas and pixa prints were the only company that had the option for fast delivery. The options for the collage seemed a bit limited until I realised you could manipulate the layout manually. Really pleased and will definitely use again. So easy to design and the quality is fab. Will definitely order more! Very happy. Site was easy to use and package arrived within 2 days of order. Excellent quality print, very impressed given the price was cheaper than other companies. Easy to design. Successfully mastered using the collage of photos and using text in white bordered on black. Finished product excellent and recipient very happy. Good quality print. Quick delivery. As always good quality and came quick too. Very happy. Always use pixaprints ! Produced 2 collage photos, one A3 and one A2. Pixa prints was the only company I found that gave the option of an A2 size and a choice of collage layouts which you could alter. Print quality was excellent. Easy to upload, transfer and edit photographs. Arrived really promptly and well packaged. Very easy to design my collage poster on the website. Uploaded the pictures i wanted and used the autifill which was great and was kept updated on status and delivered in a good time. Very Happy, Thank you. I can't praise this service enough. Price, quality, ease of design and despatch time and comma were all spot on! I ordered a poster print to celebrate my niece finishing Year 11 at school. I uploaded photos of her from Reception to Year 11, chose my template & designed my poster. Really easy to do, even from my smartphone & the result was fabulous. Arrived really quickly, well packaged to survive the journey & quality is outstanding. Best price I could find too!! 5 stars. I'll be back for sure. Great product, easty to design, and super fast delivery. Really happy with the service. Product was nice quality, easy to design, and super fast delivery. I ordered a collage for my upcoming birthday party of pictures when I was young. The delivery was very fast, packaged well and also on a very good quality paper! I would definitely recommend! I'm planning to order another photo collage. Fast delivery, easy to make, photos came out well, very happy. Fantastic design templates, which were easy to use and easy to customise. Really easy to use design templates, excellent print quality and speedy delivery. Brilliant print quality and such an easy way to design the collage print. So many ways to customise the templates! This is a great product and one many sites no longer offer. Everyone who has seen it loves it and wants to order one. We will be ordering more. The interface is rather difficult to use in my experience - once you've selected a photo to be printed and added to the basket, there isn't a button to get you back to the page where you can order more of the same but with a different photo such as a poster print. Simple but effective site to use and the finished article looks very impressive and was with me 2 days after I submitted my order, which is great service. I've been wanting to do a few collage prints for a while now so when I finally got round to doing it I tried a few different companies on the web but found pixa prints the easiest to configure and use. The speed that they processed and delivered the finished print was very impressive. I've used them since that first time and will do again in the future. So pleased with everything will buy again. Ordered 2 of these for Xmas presents to put in frames. Great quality, quick delivery, great communication. Parents and brother and sister in law were overjoyed with them. Great service and well packed. Definitely recommended to all! I have already placed another order! Amazing quality and arrived really quickly. Definitely recommended to all! I have already placed another order! Printed my pics in black and white and absolutely love them! Thank u so much! I am really happy with that collage. High quality product for great price. I would definetely recommend. Many thanks! Was delighted with my product. Six photos arranged on one large sheet. Very pleased with quality of print and packaging was superb. Great value. Much better than others I've used, will be sticking to Pixaprints! Easy to use, fantastic quality! Love the quality, easy to use! Easy to use design tool. Very happy with the outcome. It was so easy to use and the end product looked really good . The poster came well packaged in the post , super quick ,and I was really happy with the service. Very professional quality product,love the matt finish! Very professional service and quality! Thrilled with high quality, as good as any professional prints! Thrilled with daughters wedding photos, wanted good quality prints, so much better than cheap alternative printers! Loved the ease of ordering and quality grading of each photo, will only use Pixaprints from now on! Beautiful quality product, efficient service! Kept informed of progress the whole way. Beautiful quality product, efficient service! Really good i tried other websites but they didn't work but this was absolutely amazing RECCOMENDED!!!!! Only place I could find to do collage prints, not cheap, but you get what you pay for- fantastic quality. Informed of every processing step, thrilled with product! Only place I could get collage prints, and subsequently the only place I will use from now on, outstanding quality. I was able to put the poster together fairly easily and it arrived on time, very securely packaged. Nice item & good price. Some difficulty with the design aspect using my mobile - had to log onto a PC to be able to move images within the boxes. Very easy to design, speedy delivery. I made a collage of photos for an anniversary gift. The website is very easy to use, the delivery was quick and the product is great. Just what I was looking for. Would highly recommend as definitely value for money. I created a collage poster print for my best friend to celebrate her engagement and I was really impressed by the speed at which it was delivered and the quality of the print. My best friend loved it too! I will definitely use Pixa Prints again. The designing process was easy and flexible, allowing multiple design options all easy to complete. The final product was printed within an hour, despatched the next day, and came the day after that. The actual poster print, was packaged securely and was of a excellent quality both in paper and print colours. Very impressed with the item I ordered and will be back when I need another print done, thank you. The collage was so easy to create on your very user friendly website. The ordering process, subsequent status updates and print quality were all excellent. Totally delighted with all aspects of use, quality and speed of delivery. My poster looks amazing in a frame. I ordered another poster same day i received my first order. Thank you Pixa Print. The poster was brilliant all round - the ease of use of the website and the flexibility to put as many pictures as I want on and where I want them to be was great. The customer service I received was outstanding. Fantastic collage print, lovely quality and fast delivery. Very impressed with quality of printing and overall product. Very quick service, product arrived well packaged and on time. Definitely recommend! Very happy with this product! Lovely present for a friend! I had been trying to order some photos elsewhere for my parents wedding anniversary gift. I was about to lose the will to live with the other competitors when I found pixa prints and I'm so glad I did! Not only was the quality of the product first rate but the easy to use site and great postage options made for a great experience and leaves me able to give my highest recommendation! 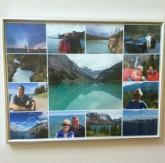 Pixa Prints update: Sometimes we leave extra white at the top and bottom to allow customers to frame their prints.